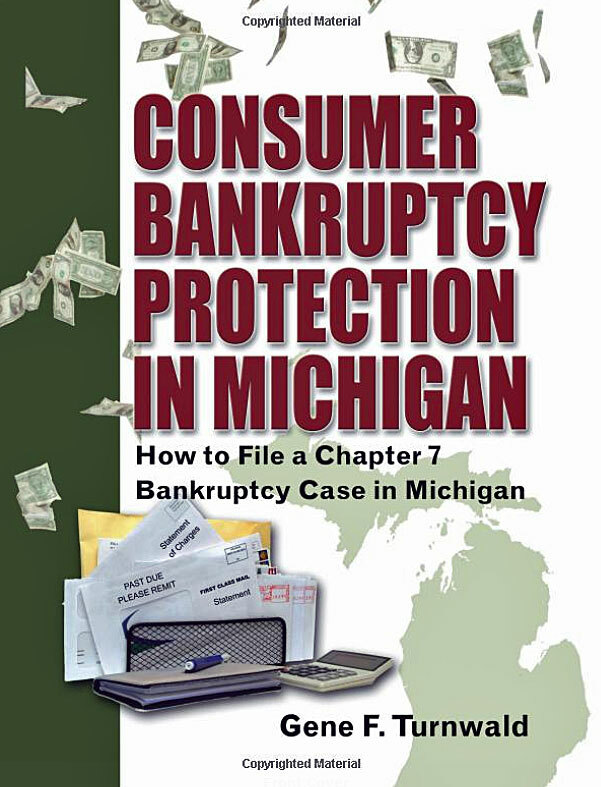 If you are in the same financial situation as many Michigan debtors, you may find yourself overwhelmed with debt. You might be having trouble making your house payments or you may be contemplating some form of debt relief. If you are contemplating filing for bankruptcy, its crucial that you seek the advice of a qualified Lansing bankruptcy attorney. At the Law Office of Gene F. Turnwald, we are a team of qualified bankruptcy experts and we are proud to help Michigan residents gain financial freedom and start the next chapter of their lives. If you are struggling with credit card debt, foreclosure of your home, vehicle repossession, medical bills, or other debt, we can help you get back on your feet and start fresh today! Most bankruptcy firms help you file, but their work ends there. We are here to help you throughout the entire process and help you with your past and future financial situation. Gene F. Turnwald will personally review all of your financial statements and debts and discuss the best options for you. Why should you choose the Law Office of Gene F. Turnwald for your Michigan bankruptcy? At our law office, we are dedicated to the well-being of our clients and we make sure they have a successful resolution for their particular bankruptcy case. Choosing what type of bankruptcy to file can be difficult, but we know the intricacies of both state and federal bankruptcy laws and will help you file the bankruptcy that makes the most sense given your unique situation. Regardless of the type of bankruptcy you are considering, a means test is required to determine which chapter of bankruptcy you are eligible for. This means test will look at your debt situation along with your income. If you cannot make minimum payments on your debts, you will most likely qualify to file a chapter 7 bankruptcy. If you happen to not quality for a Chapter 7, your next best option is usually a Chapter 13 filing. Through this type of bankruptcy, you will start paying off debts through a payment plan created by the court that usually last 3-5 years. Bankruptcy chapters can be very complicated and you should never attempt to file without consulting an attorney familiar with all the types of bankruptcy in detail. Gene F. Turnwald will guide you through the entire process and get you started on the road to recovery by determining your best option and taking action. Many people think that filing for bankruptcy is admitting defeat, but bankruptcy offers a lot of great benefits and can help you get your financial situation back on track. Most people turn to bankruptcy once they are unable to make payments on their debts and the collection attempts become more aggressive and often. Filing for any chapter of bankruptcy will immediately stop the harassment and give you instant debt relief. In many cases, filing for bankruptcy can actually improve your credit. If you are currently facing wage garnishment or vehicle repossession, a bankruptcy can stop these processes in their tracks or even help you get your repossessed items back. The type of debt that you are carrying will determine what can be discharged. Unsecured debt such as credit card debt and payday loans can be discharged. Even some secured debt such as a lien on your mortage can be discharged during a bankruptcy proceeding. Bankruptcy is not the best option for all individuals, but it is a viable solution for many people facing debt problems. If you are contemplating debt relief, call us today for a free consultation and get your financial future back on track! We understand the stress that goes along with financial hardship and we’re here to help. We have served hundreds of clients throughout our 22+ years of practicing bankruptcy law and know that this can be a dark and scary time. We can answer any questions that you may have about your bankruptcy and put your worries to ease. Our goal is to make sure you know the pros and cons of filing for bankruptcy and find the best option for your financial situation. If you are contemplating bankruptcy or just facing tough financial times, call Gene F. Turnwald for a free consultation and to learn if bankruptcy is right for you.